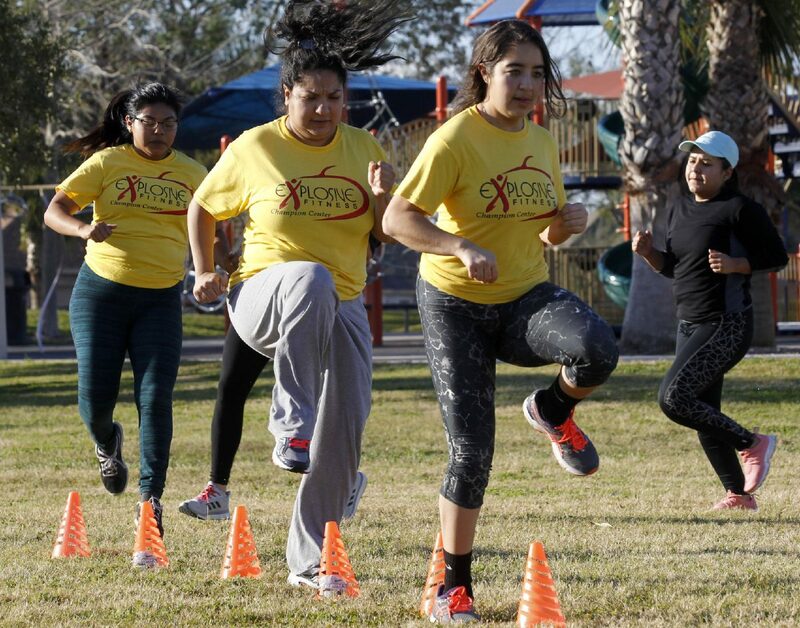 Naxiely Lopez-Puente, second from left, runs through a set of cones with members of Explosive Fitness on Monday at Zinnia Park in McAllen. The cold temperatures are not going to stop me from working out. Yes, despite the less-than-ideal outdoor conditions, I’m still at it. It’s been hard work — as evidenced by the pictures attached to this story — but it is getting easier. Before I take you through my 10-day journey, however, I want to share with you a post I posted on social media before I began working out Jan. 8. It’s deeply personal, but it shines a light on why I’m doing this, and I think it’s important to understand where I’m coming from. “I grew up skinny, so I never really worried about working out. My mom — who was disabled after a bus accident when I was about 7 years old — has always been overweight. I remember that as a child, I always wanted her to lose weight. Even at a young age, I could tell it affected her. And I thought to myself, I’ll never let myself get to that point. Welp, here I am — overweight and following in her footsteps. Before you begin to make any assumptions, let me just give you some quick background about us. Long story short, there was a real trauma about food, and like many studies have found, food insecurity often correlates with obesity. The way I see it, food became a comfort for my mother, one that is hard to outgrow and that was passed on. I grew up in a much better situation, but we were still poor. My mother raised me pretty much on her own, but she was disabled and we lived on a small, fixed income. I grew up in the projects of San Juan a happy child. Now, I’m trying to overcome a tumultuous relationship with food that has been ingrained in my subconscious. I know I’m not the only one with such fears and such a history. The Rio Grande Valley has long suffered from poverty and obesity, and the lingering side effects manifest themselves in ways we have not been able to fully understand yet. But, there is hope, right? And you know what? As cliché as I know it sounds: it starts with one step. If you need further inspiration, or just a good laugh, log on to our website, where you can see a video of me huffing and puffing my way to fitness. 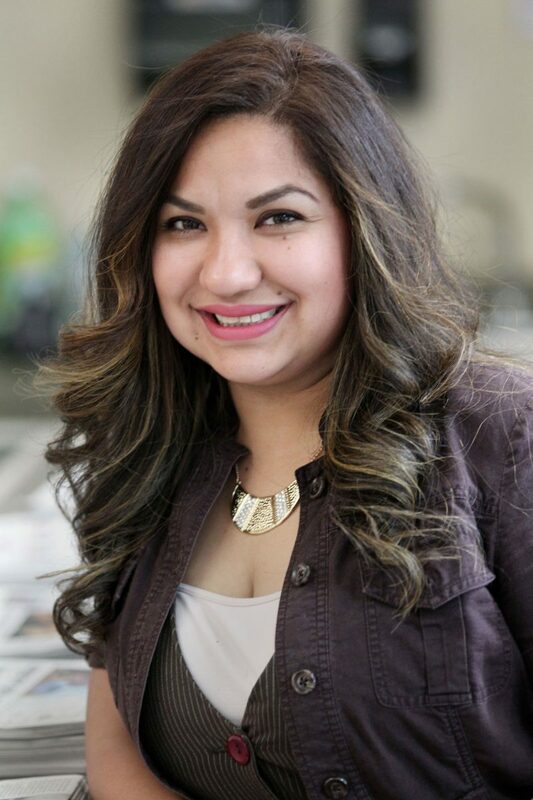 Naxiely Lopez-Puente is a staff writer for The Monitor. She is chronicling her health journey through periodic articles.